Everything An Agent Needs All In One Place. Create a more efficient contact center environment that results in a more positive experience for both your customers and agents. 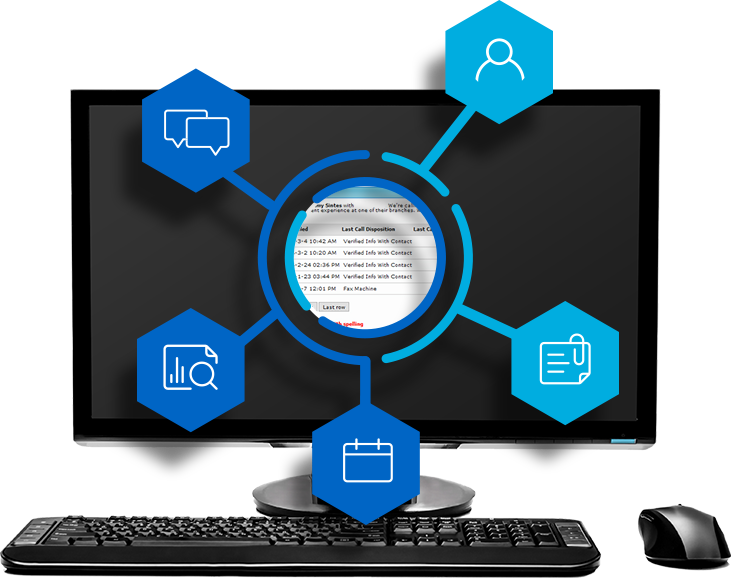 Unify your agents’ desktop workflow experience and eliminate the need to continually switch between systems. RiverStar Unified Agent Desktop unifies your agents’ desktop workflow experience and eliminates the need to continually switch between systems. Create custom workflows and call scripts which meet your specific business processes without being restricted by the limitations of your existing systems. An integrated knowledge base can be easily searched for ad-hoc information, including: FAQs, reference info, procedures, product detail, and more. Agents can manage their entire workflow directly from their desktop without switching between systems. Workflows are tailored to your business processes and auto-launched based on pre-defined rules. Tie into any system with an exposed interface to pull data from business applications. Track KPIs that measure contact center performance to rapidly diagnose root issues. Auto-populate customer data on-screen to make interactions personal and friendly. Manage all call functionality (availability, answer, transfer, recording, etc.) from the desktop. Get up and running quickly with rapid deployment and automatic agent updates.